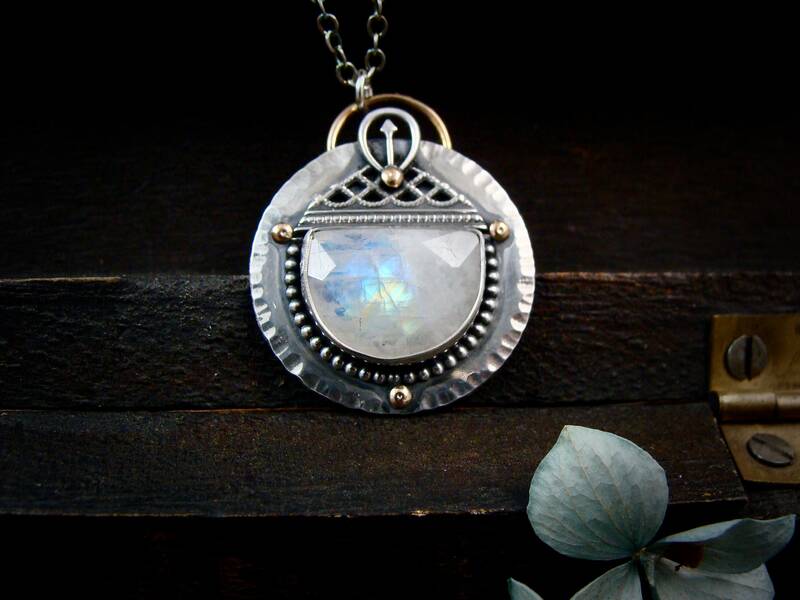 This beautiful rainbow moonstone glows bright from the center of a sterling silver circle. 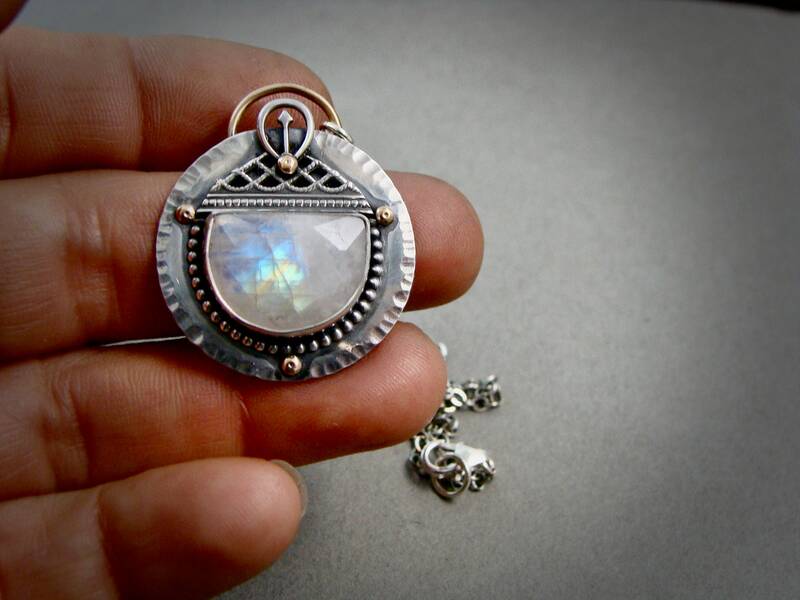 The has been embellished with a tiny sterling silver and 14k gold filled details. The outer edge of the disc has been hammered to catch and reflect the light. 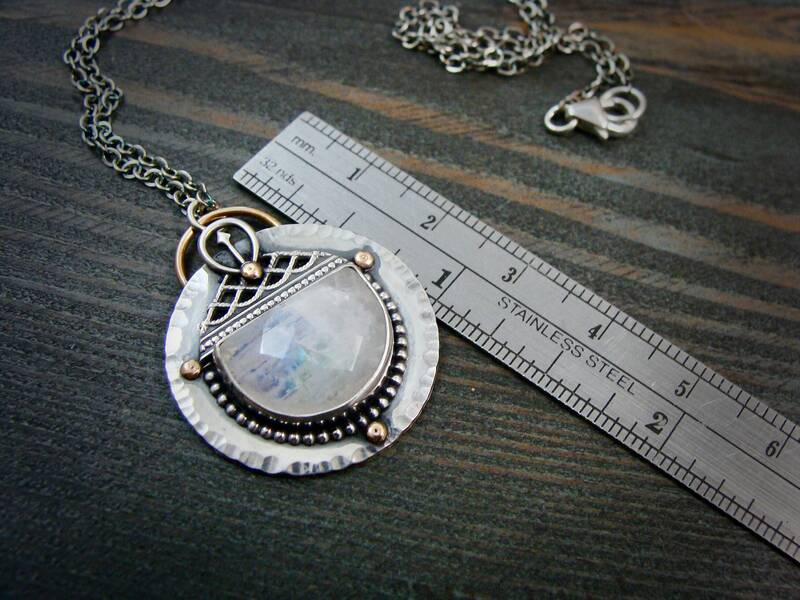 The silver has been given a dark patina to add drama and contrast.. 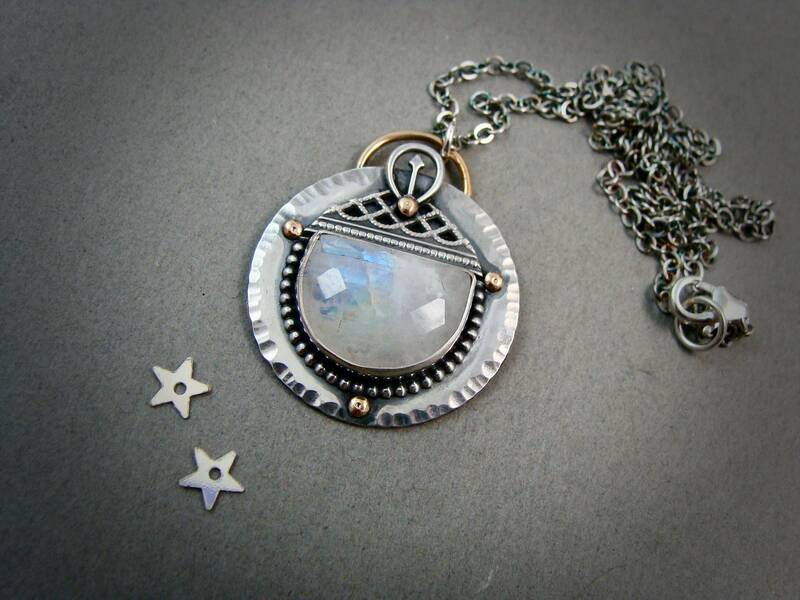 The back of the pendant has a semi-circle cutout to let the stone sit close to the skin. 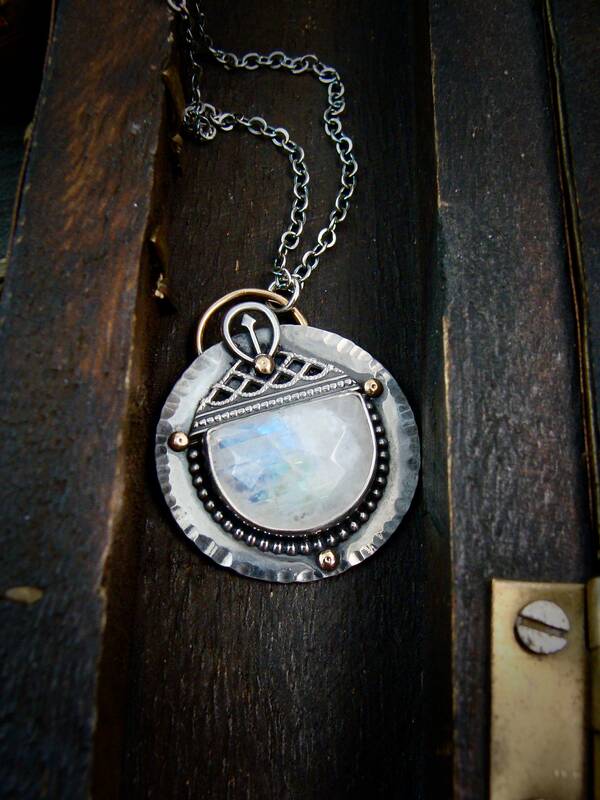 The pendant has also been stamped with my maker's mark. 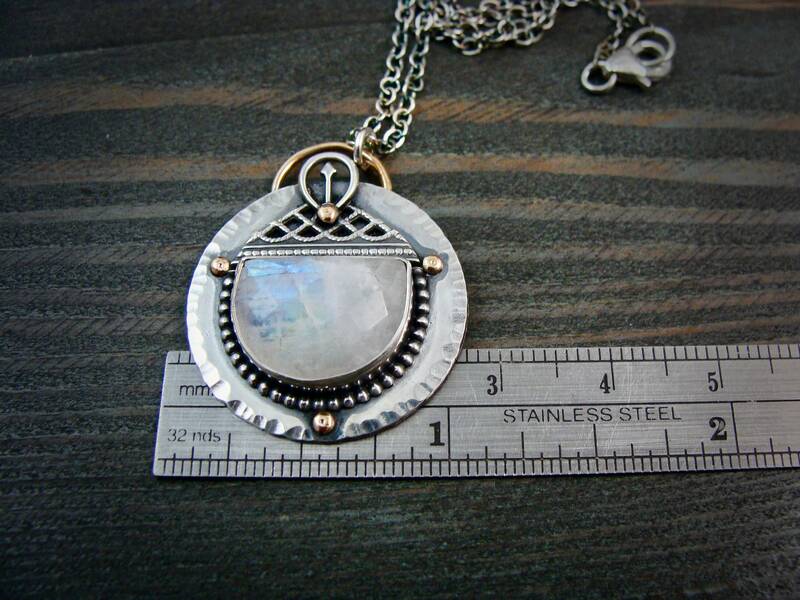 ☞ Gem lore ~ Moonstone energy is thought to be balancing and reflective. It is a stone for wishing and hoping as well as embracing the cycles of change. 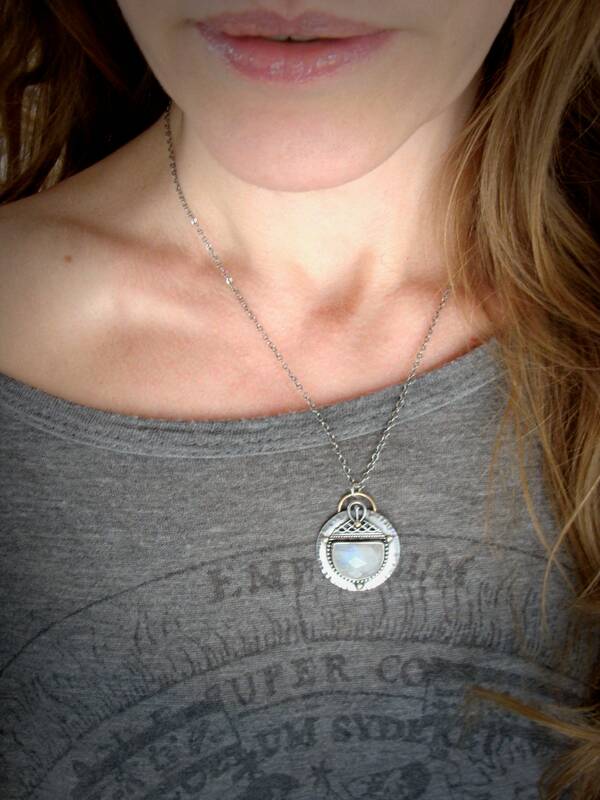 Moonstone is believed to strengthen intuition, It is also said to bring flashes of insight.